The word none can be singular or plural, depending on the number of the noun it is referring to. Back in my 4th grade English class, none was always singular. Again, grammar rules have changed and modern thought is that it can be either singular or plural. 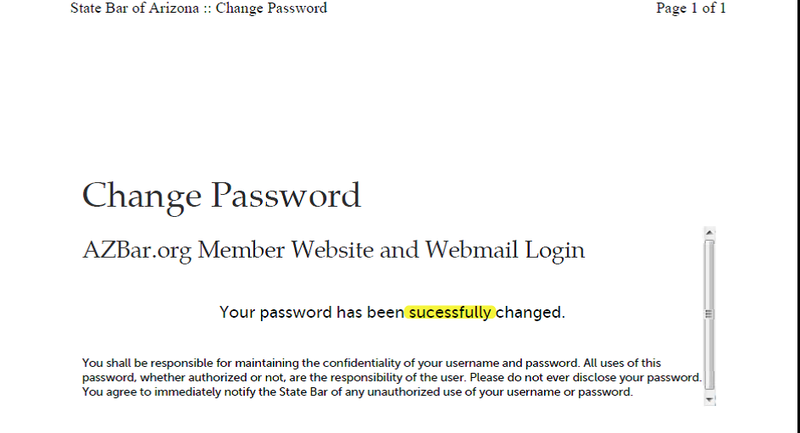 One way to decide is when you can use not one, then none is singular. If you mean not any, then none is plural. Whether you use is or are will let your reader know what you mean. By saying “None of his electronic devices is set up correctly,” your reader should understand that you mean that not one of his many devices is set up correctly. When you say “Of all his electronic devices, none are using Wi-Fi,” your reader understands that you mean that not any of his many devices are using Wi-Fi. The difference is relatively minor and regardless of which way you use it, some people (who learned that none was always singular back in 4th grade) will try to correct you. Know that as long as you are comfortable that you are using it correctly for what you mean, you can treat them like your mother-in-law—smile, nod your head, and keep doing it your way. 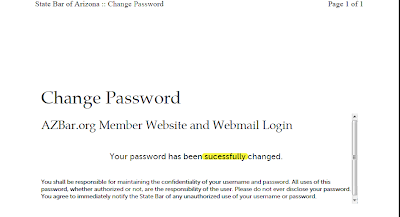 Grammar Giggles – State Bar "Success"
Comments Off on Grammar Giggles – State Bar "Success"
Today I was forced to change an attorney’s password on the State Bar website. The screenshot below was what I received in response. I did send them a notification and hopefully it will be changed soon, but it’s a pretty obvious error. As some of you know, it has been very cold in Arizona this past week. One of our local news channels (the same one that had trouble with Justin Bieber “loosing” his lunch) is at it again. 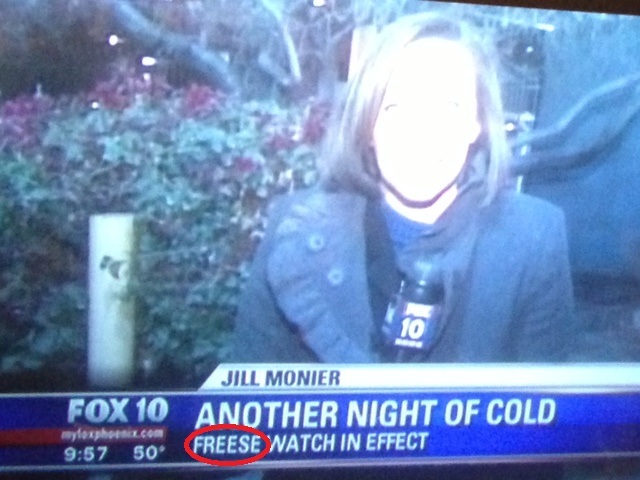 I don’t watch the news every night, but may have to make it a habit if I can continue to get Grammar Giggles material. Anyway, I digress. 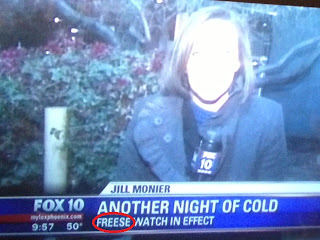 It was so cold here that we had a “freeze” watch . . . at least that’s what all the other news stations called it. 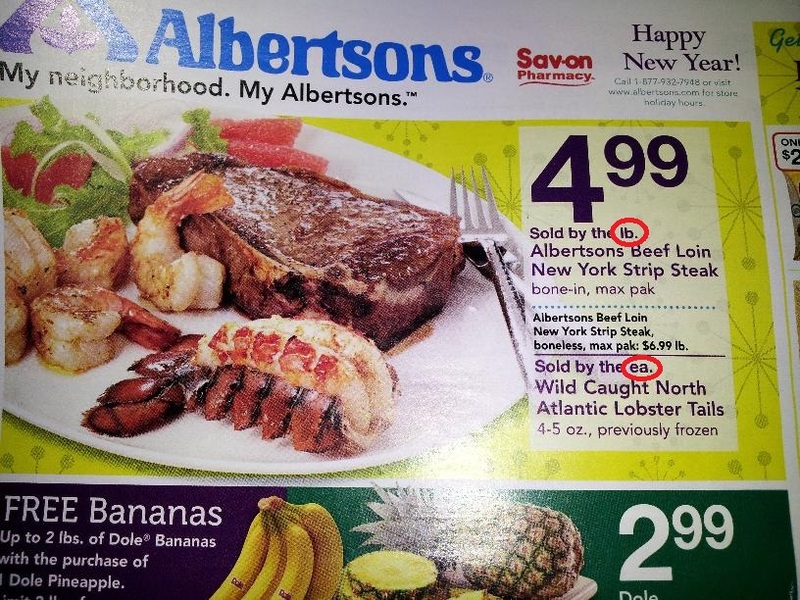 A friend sent me this from her local grocery ad. Apparently “by the ea.” is a new standard of measurement.